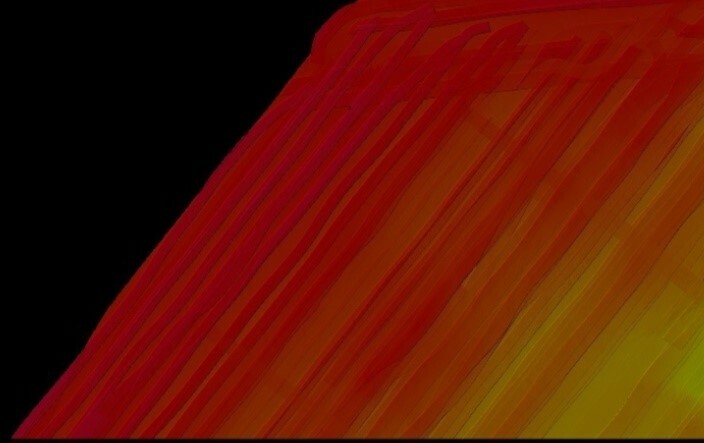 "Qimera helps customers like EGS to reduce the processing time of their multibeam data and provide highly detailed maps of the seabed to be used for offshore activities." First established in 1974, EGS Survey is a leading international group of companies with offices worldwide and its headquarters hub in Hong Kong. With its fleet of survey vessels and a diverse spectrum of people from various professions, EGS integrates innovative and advanced technology, provides global specialist multi-disciplinary marine survey support and delivers solutions to the Oil and Gas, Telecommunications, Energy & Renewables and Marine Infrastructure market sectors. 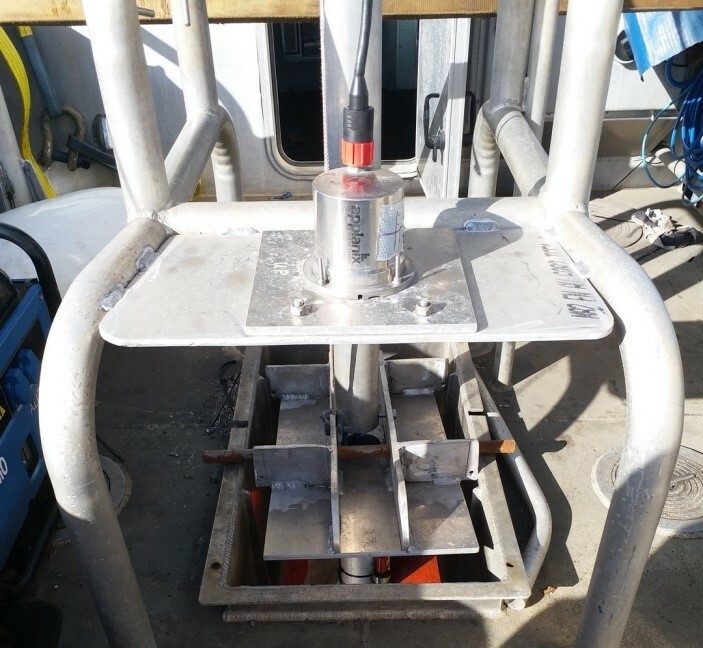 EGS has been using QPS products for over 15 years on various sized projects from local harbour and construction support survey, to regional offshore survey, and from typical bathymetric survey to sophisticated geophysical survey. QPS QINSy and Fledermaus have been regularly utilized at every stage of operations from navigation, data acquisition, processing and visualization. 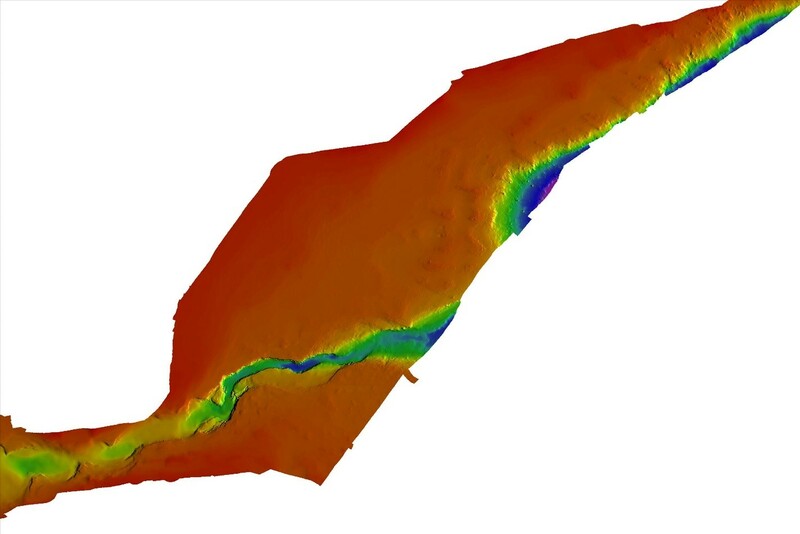 EGS has now taken a step forward in using the latest QPS software, Qimera, to improve the bathymetric data processing. 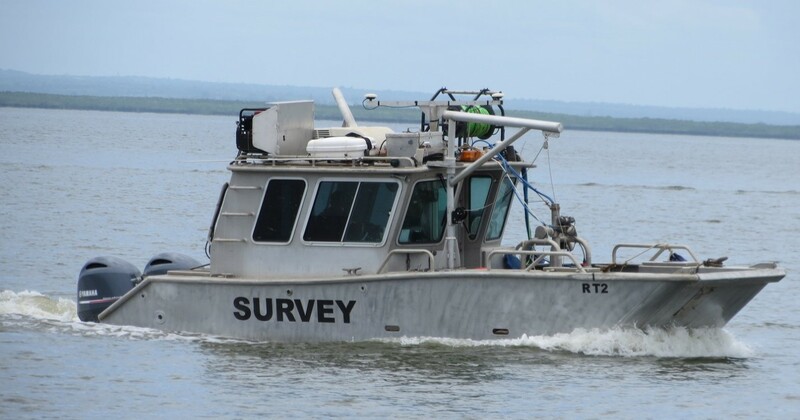 As part of a project for a shallow water geophysical survey in East Africa, EGS is using QINSy for online data acquisition and navigation purposes, while Qimera is being used as the core data processing software. The total survey area is about 15,000 hectares. The objective of the survey is to provide the necessary data for maritime navigation, geohazard identification and clearance, pipeline routing and engineering analyses. Two survey vessels are engaged in the project and they are equipped with high specification survey systems including R2Sonic 2024 & Kongsberg EM2040D Dual-head high resolution MBES and Applanix POS MV with POS Pac MMS post processing suite. 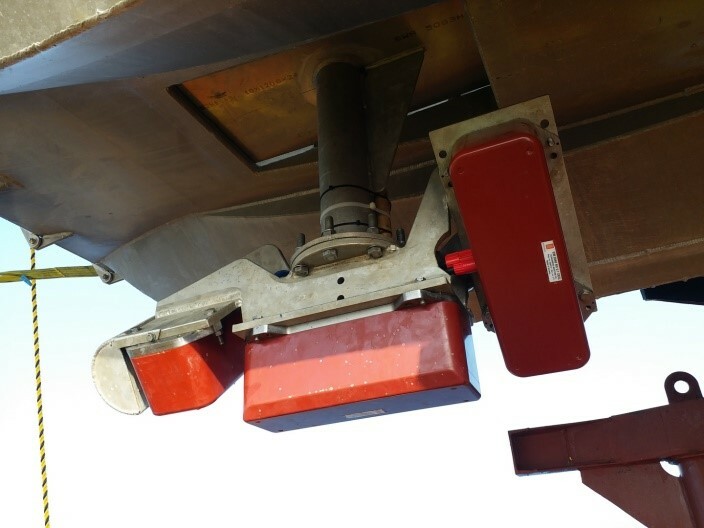 Installation of IMU on top of the transducers. The transducers of the Kongsberg EM2040 Dual Head MBES. 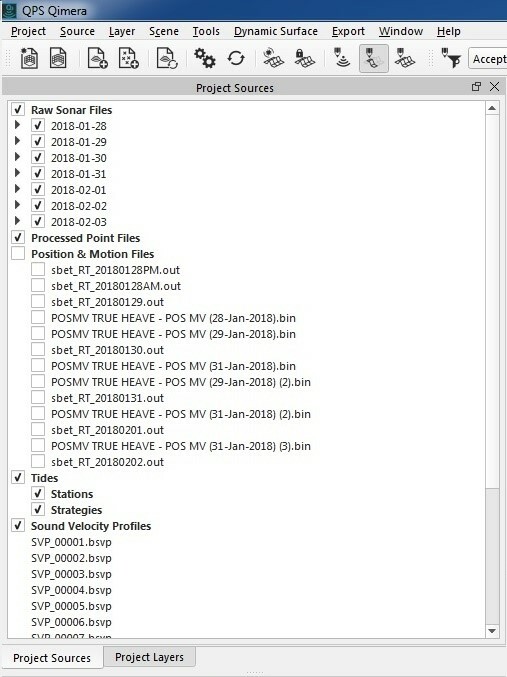 The utilization of Post Processed Kinematic (PPK) GNSS Tide is specified in this project; Qimera is able to import and re-apply the external position data in a simple way. In addition, our surveyors are satisfied with the software interface and the new functionalities of Qimera. The settings of systems are clearly listed in Vessel Editor. Once any settings are changed, the new settings are applied to all, or a selection of survey lines instantly without the necessity of running “Replay” on all the lines as in Qinsy. 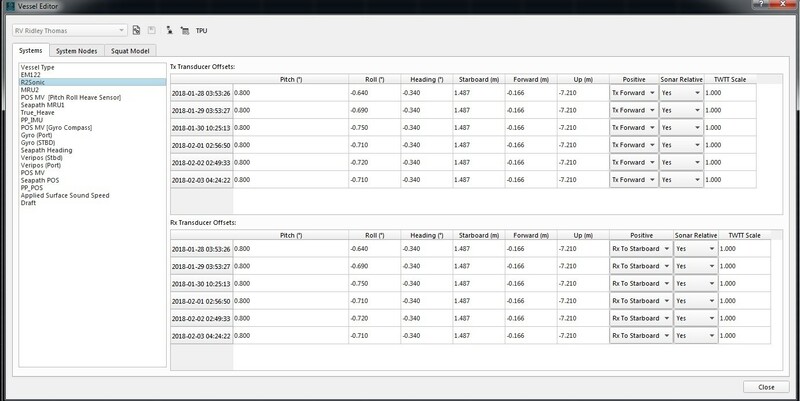 The Vessel Editor also contains the TPU values for all interfaced survey equipment as well as for all the offset points. Reliable TPU values are very important for generating CUBE surfaces. Vessel Editor containing MBES parameters of each survey day. The Project Sources table is structurally listed by type. Additionally, files can be arranged in groups such as, by date or by vessel which is useful when handling large amount of files. 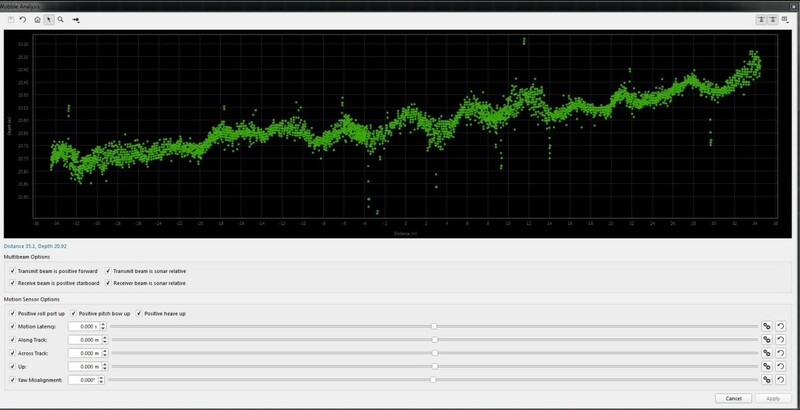 Using the Wobble Analysis Tool, it is possible to see the effect of changing parameters on sounding results immediately. The Wobble Analysis Tool makes it easy to pin point the source of an error without spending a lot of time. This saves precious project hours required to re-process lines and re-generate the dynamic surface previously necessary to evaluate the effect of parameter change. after changing the parameter of Motion Latency. The Swath Editor, showing a cross-profile, an along profile and a top view of a selection of pings gives quick response, fast loading and fast saving. 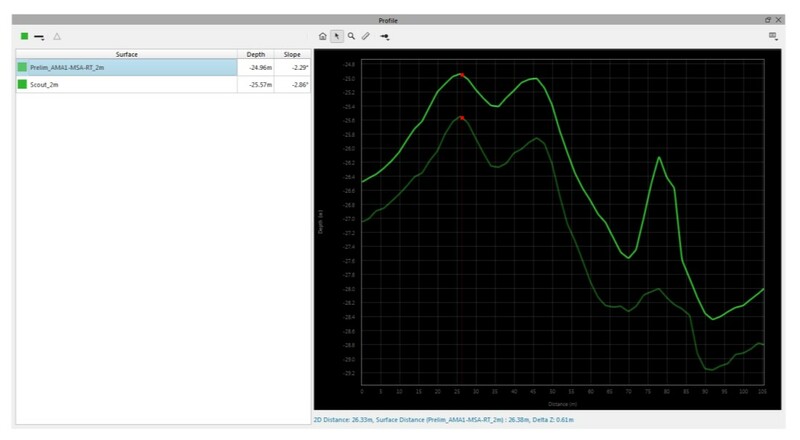 The Profile Viewer is able to show two profiles simultaneously which helps to compare the depth difference between two surfaces. Data displayed in the Swath Editor can be colored by line, depth, per beam intensity, TPU value and many other. Swatch Editor with different views. 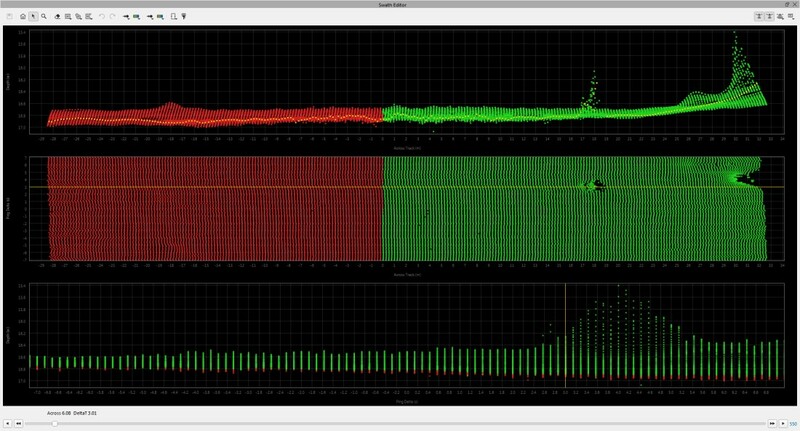 Qimera is able to edit the time series data, such as motion data or surface sound velocity, to remove spikes. Edits being saved will automatically be applied to the data during the reprocessing of the bathy data.  Qimera generates CUBE surface with smart filtering options, which reduces processing time when handling large amount of data. Reliable TPU values improve the CUBE results dramatically and will ensure faster CUBE processing of the bathy data. 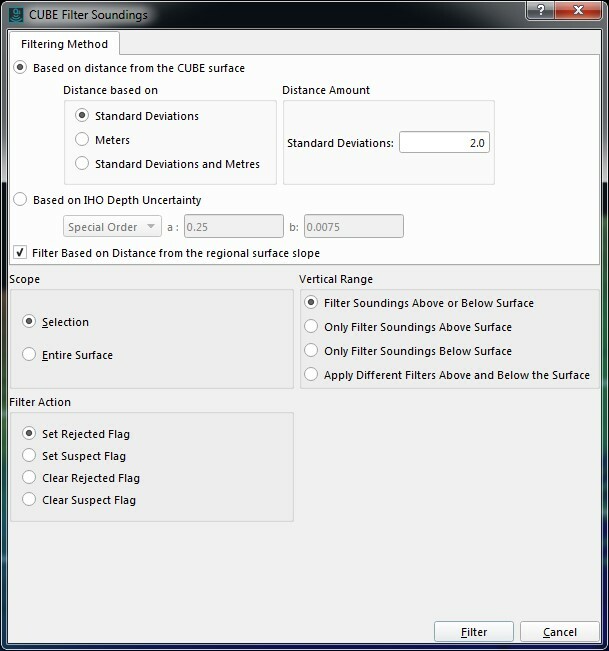 EGS has now taken a very significant step forward in using the latest QPS software, Qimera, to measurably improve the bathymetric data post processing workflow.